As we embark on our 50th-anniversary celebration,it is humbling and awe-inspiring to reflect on how far we’ve come. As Dean Lefebvre notes in her introductory letter, statistics alone speak to an astonishing trajectory of progress since we opened our doors half a century ago. But we know that numbers don’t even begin to tell the whole story. 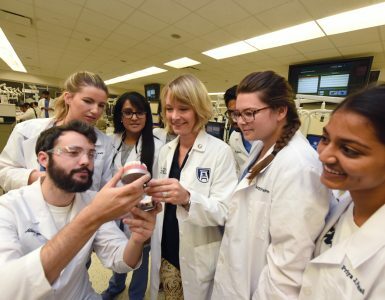 It’s the people that set us apart from every other dental school in the world. One of our most generous benefactors through the years has been the Hinman Dental Society. 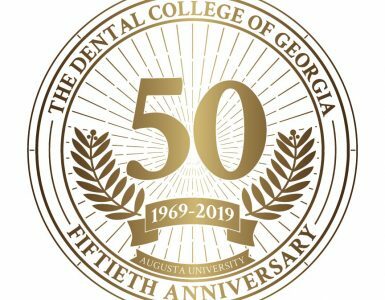 When Dr. Thomas P. Hinman founded the society in 1911, his goal was to distinguish Georgia as the most cutting-edge state in the nation for oral health care. No stone has gone unturned toward that goal. In addition to hosting the Hinman Dental Meeting annually in Atlanta, the society has funded hundreds of thousands of dollars worth of scholarships for our students, as well as funding the Thomas P. Hinman Chair of Restorative Dentistry. 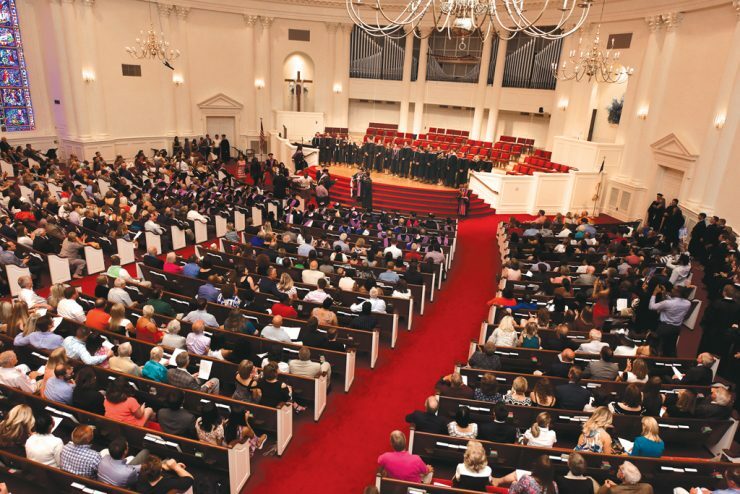 In 2013, the society upped the ante considerably by establishing a $250,000 educational endowment at the DCG (followed by two additional $250,000 gifts), providing perpetual funding to enhance education and ensure the availability of funds for technological advances. That gift included an additional $200,000 for 40 scholarships — 10 to each of the four classes. And Hinman continues to do more to support us each year. We couldn’t be more grateful for such a generous show of support, and we do everything possible to make our college worthy of such a resounding vote of confidence. 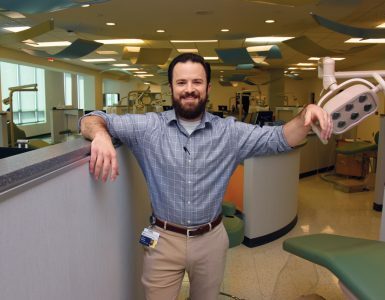 In overseeing development efforts for the DCG, I am eager to spread the word of this largesse and help convince you what a wonderful investment it is to follow the Hinman Dental Society’s lead. So many of you have already demonstrated your generosity toward our college, our students and our mission, and we are eminently grateful for your altruism. For anyone that has not had the opportunity to give back, there is no time like the present to get started. And as I begin forming new connections, I’d like to take a moment to express my appreciation to my predecessor: Dale Crail. Dale retired last summer after overseeing advancement initiatives at the DCG, raising over $20.1 million in 21 years toward scholarships and construction of the DCG building. I am proud to continue his legacy and am so excited to get to know each and every one of you better.